Corporate Polo Hospitality offers your company the kudos that comes with this high level, elite sport and offers a change from the run of the norm corporate hospitality opportunities. Polo is one of the fastest ball games that exists and boasts to be a glamorous sport of sheer adrenaline, excitement, skills and precision and with hospitality to match these polo hospitality opportunities will certainly will be an amazing day to be seen at! If you are looking for an event where you get a 'yes to your invitation then polo hospitality should be considered as one of the top five summer entertaining opportunities. Guests can dress up, rub shoulders with celebrities, stomp the half time divots and witness the highest level of polo played in this country. Normally played by Royalty, Millionaires and Playboys Polo Hospitality is the most beneficial way of entertaining your guests, enjoying quality face to face business time at prestigious venues whilst witnessing some of the most outstanding skill and agility from both riders and ponies on the pitch. These events showcase the finest polo hospitality events available. 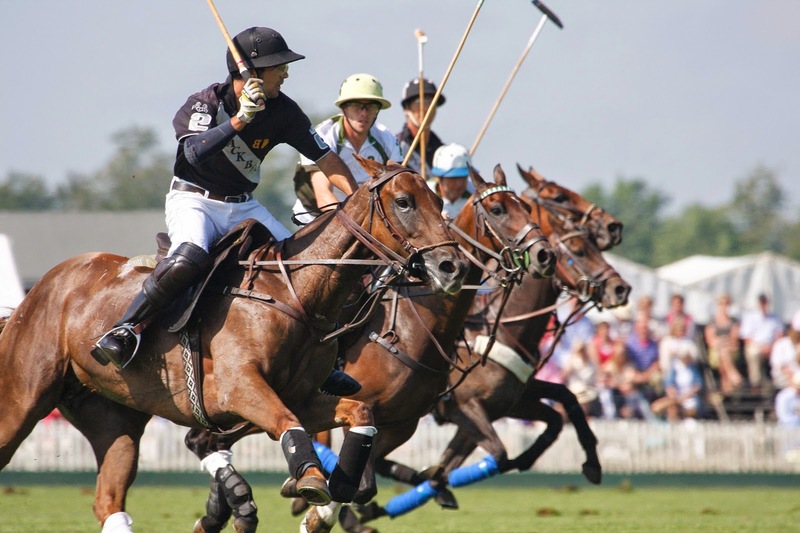 Book with The Corporate Polo Company and you will work with a leading event management company who play polo! Be associated with this incredible sport and enjoy this quintessential British Summer sporting event offering high speed action both on and off the pitch.